The meeting between the higher echelons of the Luxiria Theocracy grew stormy. The cause was that the cultists that they had sent the Order of the Sacred Light to subjugate the other day had declared the establishment of a country. However, given how obvious it was that the meeting would grow wild after this announcement, the situation could hardly be called surprising. There was a square desk in the conference room, and sitting around the north, south, east and west sides were the top brass of the Theocracy. On the north side, furthest from the entrance, sat the members from the Papal Board, who controlled the affairs of the Theocracy, a Cardinal and two Archbishops. On the east side sat the members from the Magisterium, who governed the dogma of the Church of Sacred Light, a Cardinal and two Archbishops. On the west side sat the members from the Eparchia, who governed the parishes including matters of foreign diplomacy, a Cardinal and two Archbishops. Finally, on the south side sat members from the Presbyterium, who governed the training of priests and the like, a Cardinal and two Archbishops. And then behind the Papal Board, in the most prestigious seat, furthest back, sat the incumbent Pope. Together, these thirteen people composed the higher echelons of the Luxiria Theocracy, as well as the top brass of the Human Race’s greatest religion, the Church of Sacred Light. Each one had their own attendants standing behind them, and I too was one of them; somebody allowed to be here as the attendant to one of the Archbishops from the Presbyterium. However, in my case, the one who originally should have been here had “by chance” fallen ill, so I was actually here as a replacement. The ones who screamed were the members of the Magisterium. From the eyes of they who governed the dogma of our Church, the “Establishment of the Evil God Nation” was understandably difficult to accept. But what did they mean by the existence of the “Evil God” being questionable? …Or so I might have wondered in the past. To begin with, the concept of the “Evil God” was something loudly insisted by those of the Magisterium, so doubting the existence of the Evil God was at odds with the claim they made themselves. But if you knew the circumstances of what happened behind-the-scenes, the meaning of their words would be immediately clear. An imaginary enemy woven into the dogma to agitate the fear of the believers, and thereby increase their dependence on the Church… Was their aim──although the ones who implemented this were their predecessors from generations ago──something along these lines? Of course, to the high level members gathered here, that much was common sense, and as a result they couldn’t simply accept the fact that the “Evil God” truly existed. Among them, the youngest member, an Archbishop──though already in the prime of life──gave the report from Fortera, but the Cardinal of the Eparchia ignored it as nonsense. Having said that, that Archbishop himself didn’t seem to actually believe it, and showed no sign of displeasure at having his remark repudiated. Hearing the statement from Cardinal of the Presbyterium, the Cardinal of the Papal Board agreed. And it seems that this was the same amongst all the members gathered here. Of course, including the Pope sitting at the back. The aged Pope rose from his seat, and made his declaration as he overlooked the gathering of leaders. The Cardinal of the Papal Board accepted the edict from the Pope, and so ended the meeting. Hearing Fortera’s reaction to the Pope’s earlier proclamation, an urgent, special meeting was called. To begin with, this kind of meeting was supposed to only be held at a certain time, once per year, and calling for a second meeting in such little time was extremely unusual. However, considering the circumstances, it could be said that calling a meeting was natural. Not only had the Kingdom of Fortera had rejected the Theocracy’s appeal and declared neutrality towards the Evil God Nation’s declaration, but they brought attention to the dishonesty of the Church’s upper echelons──in other words, the people in this room, and furthermore showed their hostility by declaring the formation of a new sect. It was not the case that nobody had ever opposed the headquarters of the Church, Luxiria, but an entire nation taking a position of hostility had never been seen before in history. Of course, were this simply a rejection of the Church of Sacred Light, then they would have antagonised the other nations who had the Church as their state faith, and ostracised themselves. However, they rejected not the Church of Sacred Light itself, but complained about the corruption of the current leaders, and formed a new sect based around devotions to the teachings──the Origin Faction. Such an action was far more dangerous to the people in this room than simple opposition. The Cardinal of the Magisterium openly frowned at the report. The report was the same as disgracing the Magisterium, so it was understandable. The Cardinal of the Eparchia seemed unhappy as well, but that was due to another reason. What the members of the Eparchia were agonising over was the information control of the announcement by the Kingdom of Fortera regarding the dishonesty of the higher-ups of the Church. From rampant bribery and abuse of power, to even the forgery of dogma – the many years of dishonesty were all made public at once, and the Eparchia were completely busy with suppressing the distrust from the believers. Of course, had this all been unfounded rumours, doing so would not have been so difficult. However, given that it was tacitly understood amongst the other countries that this was at least half-true, controlling the information was not an easy task. The Luxiria Theocracy with its small population and land held an advantage over the other nations due to having the absolute authority of being the home to the headquarters of the Church of Sacred Light. Putting things another way, with this advantage becoming unstable, they were liable to lose their superiority in an instant. Authority gives rise to rights, and rights give rise to authorities. With the old roots they have formed in various countries, manoeuvring with their connections should prove to be quite effective. Of course, Fortera understands this as well, and will likely move to suppress it. I suspect that a fierce power struggle will begin behind the scenes. However, when it comes to the number of personnel they can mobilise, I cannot help but say that the Theocracy has the advantage. As long as there is no major incident to overturn this situation, it will be difficult for the Kingdom of Fortera to gain the advantage. It is because they understand this, that the people gathered here were unhappy, but relatively calm. One day, a little while after the previous meeting, the situation suddenly changed. An unprecedented situation where Sacred Goddess Sophia made a revelation to all of the Human Race, and in merely one night, the situation in all the nations took a complete change. The contents of the revelation included the existence of the Dark God, previously unknown to the Human Race; the “Evil God”, who was different to the one known by the Human Race; and the fact that the Human Race needed to conquer a dungeon in order for her to win the 3-way power struggle between the gods. Had the revelation been received only by a small minority then it may have been tidied away as lies, but now that the entire Human Race had received the revelation, nobody in this room had the power to make them believe it was false. And at the same time, this also spelt a major dilemma for the Luxiria Theocracy. By the hand of none the very Sacred Goddess that they worshipped, in part thought it might have been, their dogma was denied. What’s more, the part that was denied coincided with Fortera’s claims. If one part of Fortera’s claims were confirmed, then it would naturally make people suspect that the rest of the claims were true as well. The rest of the claims… in other words, the claims regarding the corruption of the upper echelons of the Church of Sacred Light. 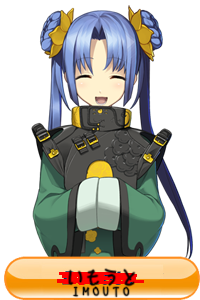 It’s very likely that all of the Sacred Goddess’s followers believe that Fortera’s claims were correct. Hearing the Cardinal of the Papal Board say that, the others in the room fell silent as well. Just as he said, making some declaration about mobilising the Order of Sacred Light would instead heighten suspicion towards them. Even the option of diverting dissatisfaction towards the “Evil God Nation” had been prohibited by none other than the Sacred Goddess herself. While the room was wrapped in silence, a voice called out from behind the members of the Papal Board. It was this moment that the Church of Sacred Light, that had thus far ruled humanity from the background, was forced to compromise, as well as the moment that they acknowledged a small, but substantial defeat. I am sure that the Kingdom of Fortera will not let this chance go, and will use this critical moment to persecute them. The winter had come for the Luxiria Theocracy, that had held its influence for a long, long time. No, you should’ve regret not using “(⌐■_■) Damn right I’m first” as your post. That Harvin is just too much of a schemer… Great chapter! Lmao the Sacred Goddess doesn’t seem to care about the higher ups in the corrupted church huh. Thanks for the chapter Estelion! Yeah, she seems to just care about the humans continued existence, and faith towards her. If the humans decide that they don’t like how a certain church is acting, then so be it. YHVH is but a slime compared to the lofty and supreme Anri-sama. Whao, unexpected release! Was expecting some lazying around for at least a week. Thanks for the chapter! Not Fortera’s claims or just the claims? Everything was part of A̶i̶z̶e̶n̶’̶s̶ the pope’s plan. That missionary work is so devious. Thanks for the chapter. The parallels to reality…! Lol! Thank you for the chapter. ‘Twas a bit serious. …I wanna turn the Pope’s hat into a large marshmallow. Even though side stories 1-6 have been translated, the next chapter links on sides stories 1, 2, and 5 aren’t working. Ehh? So many… Thanks again. Oo! I’m Presbyterium!!! I haven’t been in a while though, mostly because my home church (of 4 generations!) is located diagonally opposite from me in the continental United States.